The K-PAX Racing VOLVO V60 GT6 sitting pretty by the fields. Stanced with the help of Eibach aftermarket springs, sitting on BBS wheels, and making noise with a sweet Borla exhaust. Definitely not your average wagon. This V60 GT6 is loaded with Eibach Springs, Brembo Brakes, BBS Wheels, and a Borla Exhaust. Don't let this wagon fool you. 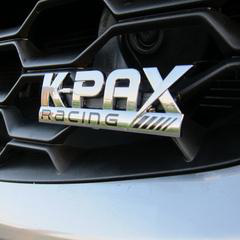 K-PAX Racing loaded this V60 GT6 with some nice upgrades.